What are the benefits of becoming a housesitter? Depending on who you ask, the benefits will vary from one housesitter to another. Besides the money saving aspects of living rent-free as a housesitter, many of our subscribers tell us that housesitting enables them to explore a new location through the eyes of the locals by actually living in a place rather than as a tourist staying in a hotel. Other housesitters report that becoming a housesitter has enabled them to live in beautiful homes in exotic and interesting locales. For others, housesitting has provided them with the opportunity to learn gardening, horseback riding, or a new hobby or sport. A majority of our subscribers who are housesitters tell us that housesitting is a lifestyle that gives them the freedom and time to pursue their passion for travel, art, writing, etc. What are the minimum qualifications that I need to become a housesitter? At a minimum, homeowners are looking for reliable, honest, responsible people to care for their homes. In most cases, years of housesitting experience are not necessary. Good common sense, flexibility, and the ability to learn are three important prerequisites. If you have taken care of your own home, either as an owner or a renter, you probably have acquired a variety of skills and experiences. The ability to communicate, both with the homeowner and with contractors or service people, is another important qualification. How do I apply for a housesitting position? When they write their ads, homeowners will ask for different things from prospective housesitters. Some may initially provide only an email or a phone number and ask that you contact them that way when responding to their ad. Other ads will specify that applicants should send a copy of your resume and a list of references, both personal and professional. The people on your list of references should be able to provide a letter to the homeowner or be available to speak with them over the phone. Property owners have the option of running a "blind ad" where, for security reasons, the responses are sent to The Caretaker Gazette and then we forward them directly to the homeowner. Once they have received your call, email, or resume, the homeowner will let you know if additional information or a follow up phone or in-person interview is required. What kind of compensation should I expect to receive? At a minimum, you will receive free living accommodations. Housesitters find the free accommodations to be one of the most valuable forms of compensation as it saves them from paying for rent or making mortgage payments. The Caretaker Gazette does not accept any ads for positions that do not include free housing for the housesitter or caretaker. In addition to free housing, the homeowner may offer additional compensation such as a small salary, use of a vehicle, or a bonus at the completion of the housesitting assignment. How long does a typical housesitting assignment last? Housesitting assignments can be as short as a week or two or as long as a year or more in duration. Sometimes a homeowner will utilize the services of a housesitter on a short-term, trial basis. If they are pleased with the service provided and the housesitter is happy with the arrangement and compensation, the two parties may agree on a future assignment for a longer time period, or the same short-term time period, year after year. Many homeowners have to be away at a certain time each year and like to find a trustworthy housesitter to watch over their place and pets for the same period of time each year. Since the homeowner is going to check my references, should I do the same with the homeowner? 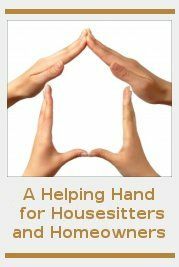 It is a good idea to ask the homeowner if they have used the services of a housesitter previously. 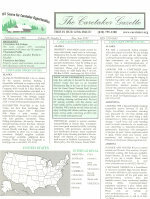 The Caretaker Gazette always keeps records of homeowners who advertise in The Caretaker Gazette. Since we began publishing in 1983, we have not heard of any serious problems between a homeowner and housesitter. What if there is an emergency that I am not qualified to handle? During an orientation or tour of the property, you should ask the homeowner to provide you with a list of service people and people to contact in the event of an emergency. Most homeowners will have such a list prepared and include contact information, such as phone numbers for service people. There should also be a flashlight and a fire extinguisher on hand. You should also ask the homeowner how they can be reached, via email or phone, in case of an emergency. Is there anything else that I should know about housesitting? The homeowner should leave you a list of instructions for daily, weekly, or monthly tasks that need to be performed around the house. These may be a simple as weekly watering of plants or more complicated, such as vacuuming the swimming pool. They should also let you know where the electrical, water, and gas shut-off valves are located and if there are tools nearby. I've never done any kind of housesitting. How do I get started as a housesitter?